This is K-E, the first and only Kid Chameleon level editor. K-E allows map and art data to be ripped directly from the ROM and viewed. Changes can be made to the map files. 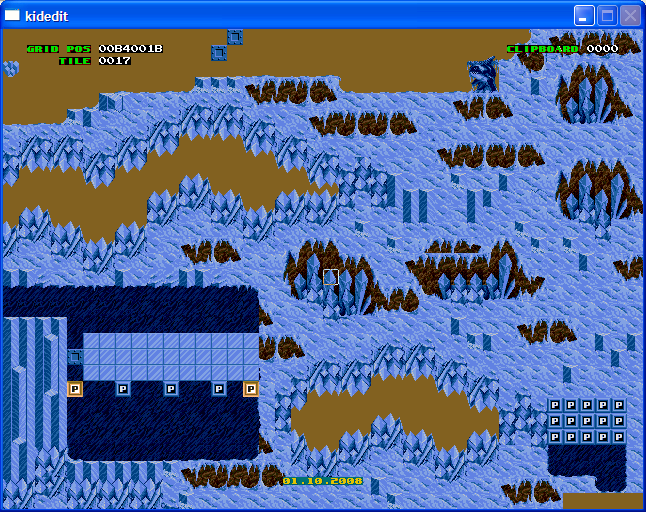 When editing is complete, maps can be reinserted into the ROM for play. K-E is also a big staple on the Wikid Chameleon which has been assisted by the help of K-E. Wikid Chameleon includes a full list of all the game’s maps so you know exactly what map file belongs to which level; that’s very helpful to anyone using this tool.